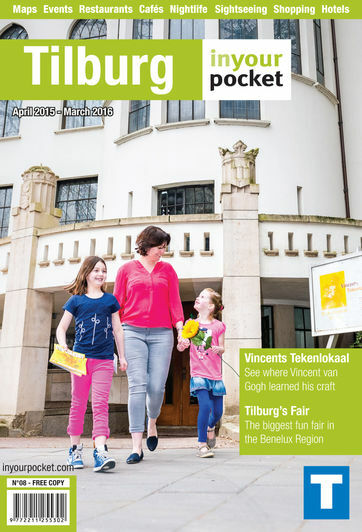 Getting around Tilburg is pretty simple, but here are a few tips and suggestions. The old town is in fact so small, that you can easily get everywhere you need to go on foot. If you have to go a bit further, we recommend renting a bike. Travelling to farther destinations by bus or train requires an OV-chipkaart. The OV-chipkaart is the new means of payment for the entire public transport system in The Netherlands. The smart card is the size of a bank card and contains an invisible chip. The OV-chipkaart can be loaded with credit in euros with which you can travel anywhere within the country, or with another travel product such as a single or season ticket. You can also choose a personal, anonymous or disposable card. The personal OV-chipkaart can be purchased online or from the city public transport company. The anonymous OV-chipkaart can be bought at the ticket office and vending machines at the station. The disposable card can be purchased at the station vending machine. This card allows the holder to travel immediately, but it can't be re-charged with another than the original travel product. You have to load travel credits onto the OV-chipkaart or it won't be valid for travel. You can add travel products to your card at the station vending machine or at your public transport company’s ticket office. You can load travel credit onto your card using your bank card and PIN code at a vending machine or at a ticket office. If you have a personal OV-chipkaart, you can also select the auto-reload option, to ensure you always have enough OV-chipkaart credit with which to travel. Orders from the webshop have to be loaded on the OV-chipkaart at a pick-up device. You have to check in at the gate of the tram or bus by holding your OV-chipkaart up to the screen. The sound and light signal indicates your card has been read. If you do not have a specific product on your card and, therefore, pay for your journey using the OV-chipkaart e-purse, a boarding rate will be deducted when you check in. The credit on your OV-chipkaart should be enough to cover the boarding rate or you won't be allowed to go through the gate. The boarding rate is €4. At that end of your journey, you check out by holding your card up to the gate screen. The sound and light signal once again indicate that your card has been read. If you are traveling using the OV-chipkaart e-purse, the actual travel costs, based on the distance travelled, minus the boarding rate is deducted from or added to the e-purse. Checking in and out is required when you transfer from any one form of transport to another, except when you transfer from one train to another. Although the owner of Fietstaxi has a cute beerbelly, expect quick and reliable service from this environmental friendly company.